CAD stand for Computer-aided drafting. According to Wikipedia CAD is the use of computer systems to aid in the creation, modification, analysis, or optimization of a design. CAD software is used to increase the productivity of the designer, improve the quality of design, improve communications through documentation, and to create a database for manufacturing. CAD output is often in the form of electronic files for print, machining, or other manufacturing operations. As we know that CAD software provides ease in the optimization of different design and provide 2D vector-based graphics or 3D modeling of solid surfaces. Numbers of computer-aided drafting software available some of these are free and some are commercial. 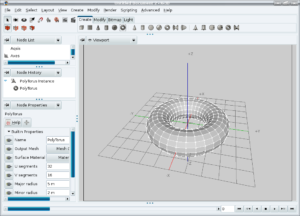 Today we focus on top 4 free cad software. Let’s see some of these softwares. 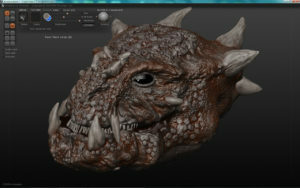 Sculptris is an excellent free virtual sculpting software program. Its primary focus on the concept of modeling clay. Sculptris provides an excellent gateway into the exciting world of 3D. It is easy to learn, even for someone with no experience in digital art or other words we can say that layman, yet robust enough for creating base models that can then be refined in other applications, such as ZBrush.In Sculpt 3D Sculpting, you can edit the mesh geometry with simple brush strokes. It provides the support of 3D painting – use brushes to paint a texture that is wrapped (also known as mapped) onto the surface of your mesh. It is supported Microsoft Windows, Mac OS X operating systems. SketchUp is another comprehensive free cad software. It is famous 3D modeling software solution. This software is used for wide range of purposes – drawing applications such as architectural, interior design, civil and mechanical engineering, film, and video game design. 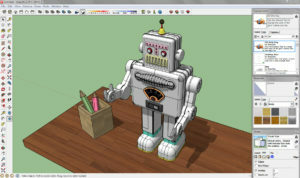 SketchUp 3D Warehouse is an open source library where anyone using SketchUp can upload and download 3D models to share. SketchUp is owned by Trimble Navigation – a mapping, surveying, and navigation equipment company. SketchUp supported Windows 7 and later, OS X 10.9 and later. It is available in different languages. 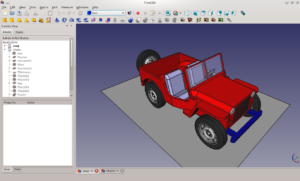 FreeCAD is not only free but also the open source general-purpose parametric 3D CAD modeler solution. It allows the freedom of customizations. It is mainly used for mechanical engineering and product design. It can also use for wide range of purpose such like architecture or other engineering specialties.Its parametric modeling allows you to easily modify your design by going back into your model history and changing its parameters. It is supported the cross platforms like Windows, Mac, and Linux. It allows their users to reads and writes many open file formats such as STEP, IGES, STL, SVG, DXF, OBJ, IFC, DAE and many others. K-3D is free CAD, 3D modeling and animation software solution. It provides the support of plugins – combines flexible plugins with a visualization pipeline architecture. It makes K-3D a versatile and powerful tool for artists. 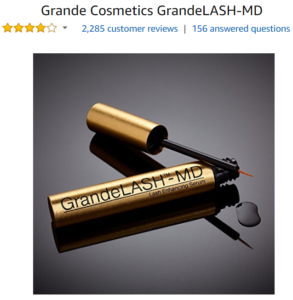 It comes with easy to use graphical user interface. It is intuitive, consistent, and discoverable. It provides the supports of polygonal modeling, and it consists of basic tools for NURBS, patches, curves, and animation. It also supported cross-platform like Windows, OS X, Linux, FreeBSD. It provides the features of procedural and parametric workflows.It supports node-based visualization pipeline.